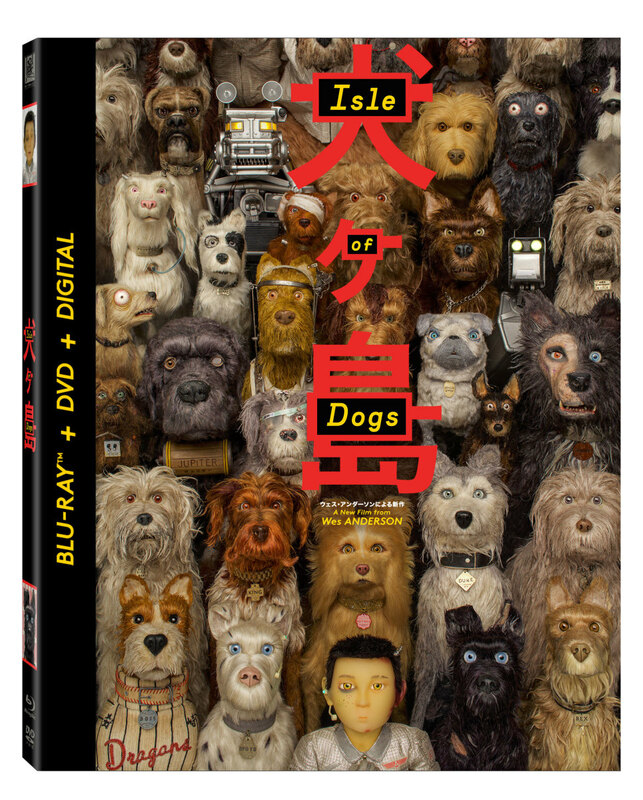 The official Blu-ray cover for Wes Anderson's, "Isle of Dogs." My film review of Isle of Dogs can be read here. Like Fantastic Mr. Fox, it’s a film that is appreciated more and more with each viewing. It may be not only my favorite review I’ve written this year, but it’s also a film that’s nearly guaranteed to make my top films of 2018 list. The extras on the Blu-ray mostly tease how great the behind the scenes footage could have been. There’s just under 21 minutes total spread out over six featurettes. Animators (3:42) dives into the detail of how the animators brought the puppets to life. Cast members discuss the importance of allowing the personality of each actor to bleed through in not only their performance but the puppet that represents each voice actor as well. The performances are broken down phonetically as they match up the stop-motion animation to animatics. Animatics are basically a rough version of traditional animation meaning they’re hand drawn frames, but they usually only highlight specific sequences rather than fleshing out every frame of the film. 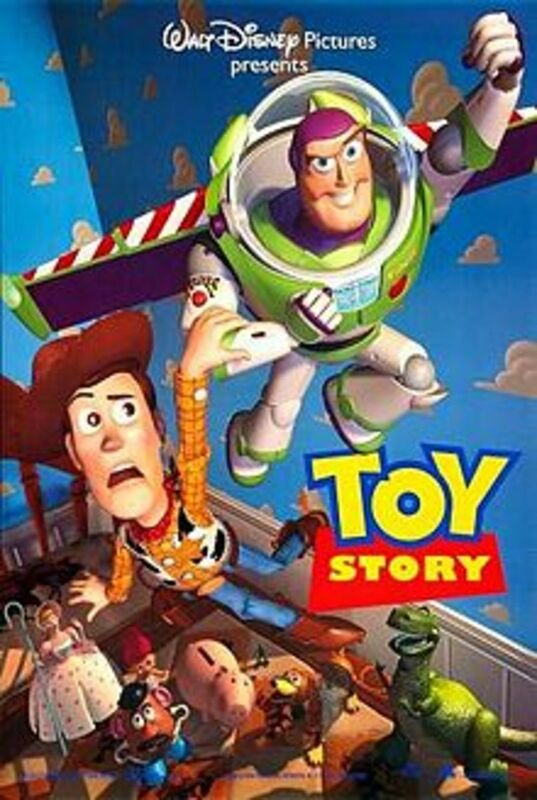 27 animators and ten animators worked on the film. Cast Interviews (5:09) is a featurette that was used to promote the film before its theatrical release. 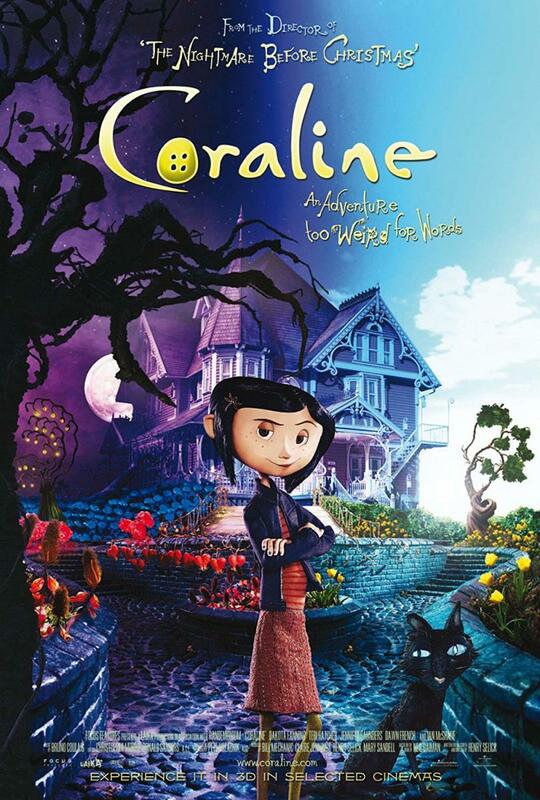 The main voice cast is interviewed about their respective characters, but it’s animated in stop-motion and in character like the film. Jeff Goldblum’s segment, as well as Tilda Swinton’s, is a personal favorite. Puppets (4:03) shows the architecture of each puppet. They build a skeleton of the puppet, which is done by molding armature. Their body is initially made of silicone and each puppet is hand painted after that. The hair in each puppet is done one at a time while each puppet also has an assortment of various faces and sometimes different wigs. 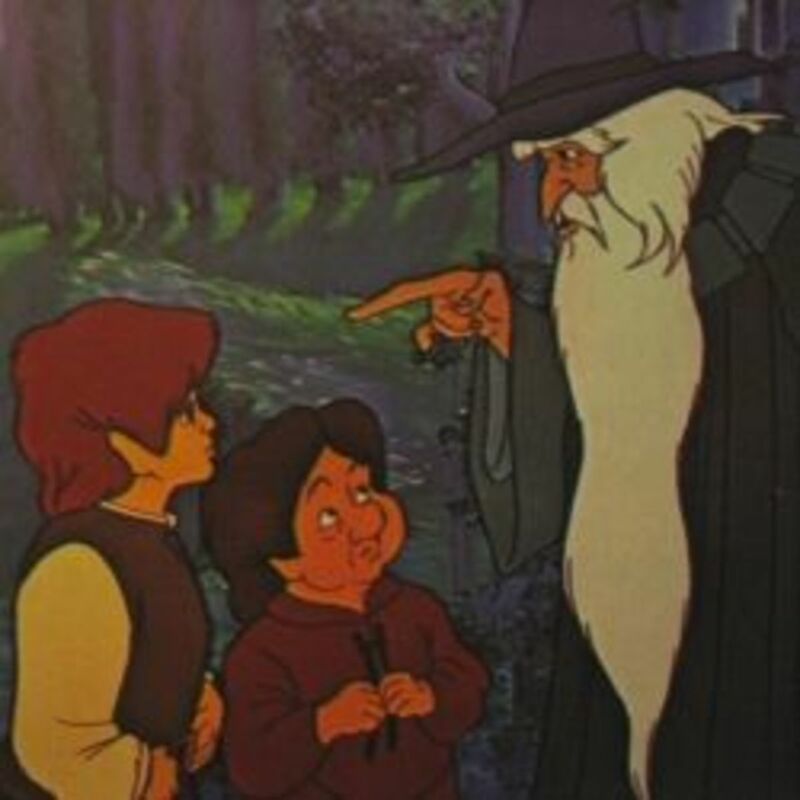 Mohair and alpaca hair were the main types of hair used in the film. An Ode to Dogs (2:00). This is just a quick featurette showcasing that they had real dogs on set as inspiration. Nine dogs visited the crew and a few of them had cameras strapped to their backs for perspective purposes. Megasaki City and Trash Island (2:59) looks at the futuristic city and isolated sanctuary settings in the film. Megasaki City uses bright colors in a way that represents looking at the future as seen from the 60s. There’s also an importance of Megasaki City being so vibrant and so colorful while Trash Island is drabber in comparison; it’s basically the old world versus the new world. 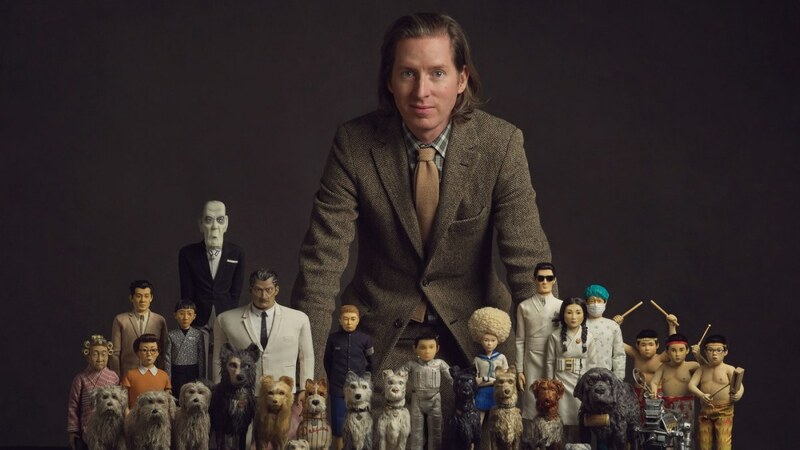 Co-writer and director Wes Anderson with the puppet cast of, "Isle of Dogs." Weather and Elements (3:04) is a brief introduction to the incredible amount of work to building the sets of the film. 240 sets were built and utilized throughout the film. Each set started off as a traditionally drawn concept usually in graphite. The sets were then built out of foam. 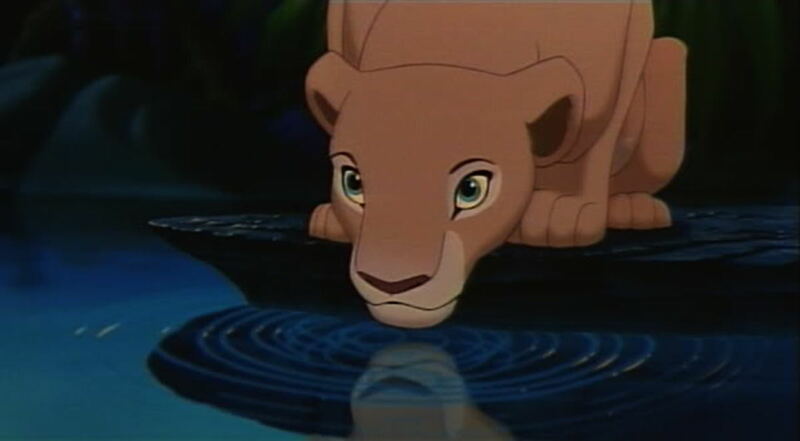 The cast wanted to be as organic as possible rather than just building everything with computer animation. They take pride in each set mostly being built practically. Also included in the bonus features is the Theatrical Trailer and a Gallery with 15 promotional stills, which has each cast member posing with the puppet they provided the voice of. The downside of the special features is that they feel rushed. The cast seems to talk at a ridiculously fast pace and there seems to be much more that could have been said or revealed about the film. Maybe it’s all the studio would allow or maybe the initial thought process is that the film is probably fairly similar in execution to Fantastic Mr. Fox so lengthy behind the scenes segments aren’t needed. You crave more though and you hope Criterion Collection gets their hands on this to produce an even better home release. It’s a shame the extra features don’t dive into the music of the film since it’s a key factor in not only the enjoyment of the film but Anderson’s work in general. The film itself is 4.5-5 stars, but the special features get an average rating solely because looking at the amount of material on the Fantastic Mr. Fox Criterion set we know there’s more that could be revealed regarding the behind the scenes footage of Isle of Dogs. Stop-motion has come a long way and Anderson’s attention to detail is unprecedented (Laika is likely on even ground). 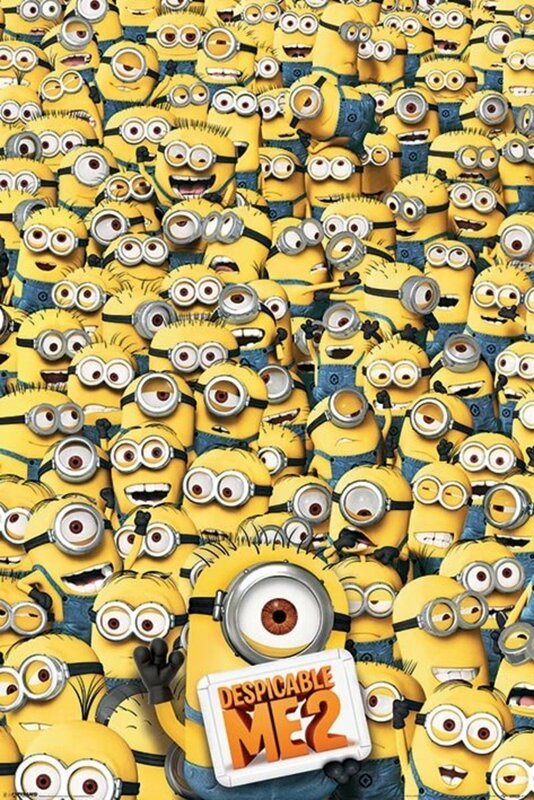 As animation fans, we desire and deserve better extras to an exceptional film. The film does look amazing in high-definition, but it may be worth getting a digital copy now and holding out for something with better special features later. 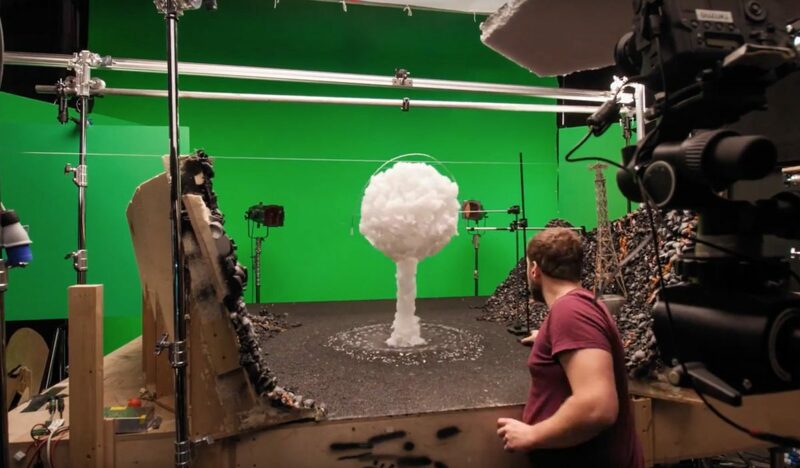 A look behind the scenes of, "Isle of Dogs."